As the year 2017 draws to a close, it is disappointing to see America more divided than at any time since the 1860s. The main cause being government. Almost everyone complains about government, at least sometimes. It's a natural thing to do. The reason is, with political governance, one side only wins at the expense of the other side. This leads to a fracturing of society, where the winners and losers-- the Right and the Left-- hate each other. It really is that bad. Government is collectivism at its worst, so everyone is going to be unhappy over many of its actions, even if they like some things it does. As a libertarian, I am constantly amused by people who complain about the inevitable results of politicized government, while thinking they can have the parts they like without the parts they don't like. Sorry, but that's not the way it's set up to work. But it could be. Even if you got exactly the type of governing you want, just about everyone else would be unhappy. If the tables turn so someone else gets exactly the sort of governing they want, you would be the unhappy one. It's a disastrous system. This is what happens with one-size-fits-all schemes. The one mandated size actually fits almost no one. Square pegs are hammered into round holes, or round pegs get wedged into square holes; either way, no one is pleased with the result. This is the result of pretending there can be a right to govern people other than yourself. There is a reasonable solution: replace violence-based political governance with consumer-controlled governance. This way you, individually, choose whether you want a service, choose whether it is worth the price, choose who to get it from, and if they don't meet your expectations, you can unilaterally fire them and try something else. Without being told to move to Somalia. No one else is bound to your choices; they make their own. Your choice in services never denies others the parts for which you have no use. They are perfectly free to choose them. You don't have to partake in everything, you just have no right to impose your choices on anyone else. It's the civilized way to live among others. Maybe the coming year will see more people decide to give liberty a try by rejecting the obsolete system which is tearing America apart, right down the middle. I will always hope. 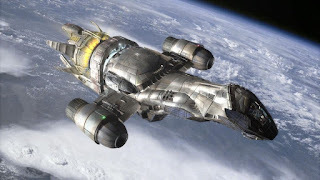 I've always thought that if I had my own spaceship or space station-- at least until or unless artificial gravity is invented-- I would prefer (all else being equal) to hire crew who had no legs. In such an environment legs seem like trouble. They just fly around knocking into things and taking up space. Sure, you can use legs/feet to anchor a person in place by strapping them in, but there are space-saving ways to anchor a person in place when you don't have to take those useless (in microgravity, at least) appendages into account. I think all the government space-access prevention agencies, like NASA, have missed a great opportunity by not encouraging the legless to apply. Just think of the public relations coup (assuming no "flight anomaly" resulting in crew loss). It's a blind spot I hope liberated market spaceflight will notice and fix.